It is spring break at the college where I work and I am taking the next few days off to visit some museums, catch up on some things around the house, and just relax in general. 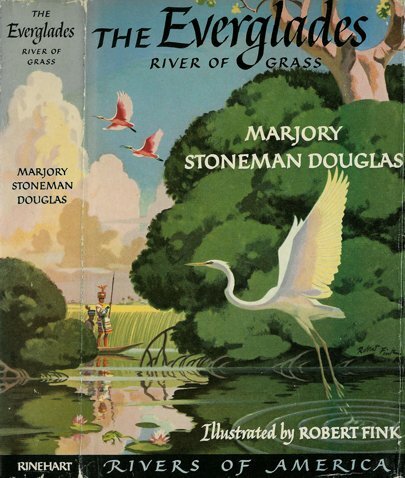 Tonight I started a book I have wanted to read for years, decades actually: Marjory Stoneman Douglas’s The Everglades: River of Grass. I was raised in South Florida and my mother still lives there. Growing up, my friends and I went to the Everglades on an almost weekly basis, taking long hikes on the fire roads built by the Army Corps of Engineers in the middle part of the twentieth century. The Everglades have some of the most beautiful sunsets one could imagine. I didn’t read Stoneman’s classic during my high school year because, well, I was too busy being a kid. I am not sure what I was expecting but the book offers a surprising amount of historical background on both the state and national level. I checked the book out of the library where I work because I recently agreed to write an encyclopedia article about the Miami Hurricane of 1926. Stoneman touches on it briefly. I thought writing the hurricane piece would help me learn more about Florida during the Reconstruction and Jim Crow eras, which it has. The Hayfoot and I have it on the 2-3 year plan to take a Civil War road trip through the Sunshine State. It is something I started thinking about more and more after visiting Gettysburg the first time and seeing the Florida monument on West Confederate Avenue. Maybe if I had grown up in the northern part of the state, which is ironically more “Southern” than south Florida, I would have had a better sense of these things. For whatever reason, it is something we never heard about growing up. It is funny how when we reach a certain age we go back and try to fill in the blanks we missed the first time around.